Outside of airports, reward schemes and shopping discounts with credit card schemes are notoriously bad and difficult to use. Right now I could not tell you a single discount my Amex entitles me too – maybe Hertz or some obscure wine delivery company? Zero idea. But do I love a discount – heck yes! As you probably know with online shopping, there is always that trade off when it comes to discounts – the effort you have to put in to finding those coupons online. On a day to day basis, I hardly bother, but as I’m travelling right now, and metaphorically bleeding Euros, my care factor is on the increase. So every time I book something I’m up for investing 10 – 20 minutes on the coupon code hunt. You do get lucky – I landed a 25% discount on a food tour in Rome just the other day, completely by chance – finding an active code on a food bloggers website. But friends – this is ‘needle in the proverbial online haystack’ stuff, and not exactly my idea of how to spend a night in Rome. Why compromise your dinner plans or leave these things to chance when they could be completely systematised and algorithm-itised? Many people don’t, enlisting the help of companies like Honey. 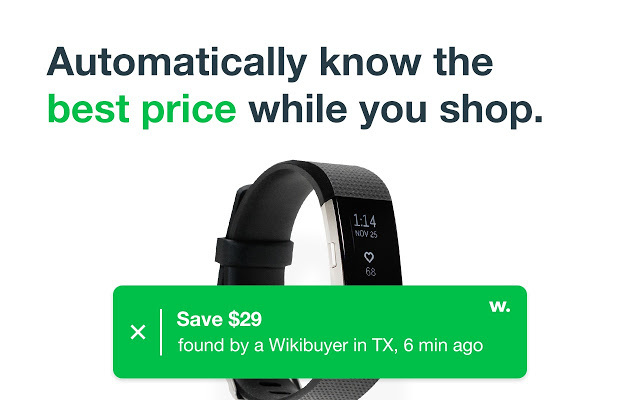 The very clever browser extension automatically finds and applies coupon codes at the checkout with a single click. It has over 10 million users. It’s also becoming a serious contender in the loyalty space, having launched a cashback program Honey Gold. Who knows what it could do next. Why would a bank do an acquisition like this? Well, if you’re a loved discount program with a cashback rewards scheme, but you’re still putting payments through someone else’s network, if you were Honey, why wouldn’t you get into issuing and earn more margin and save customers more money? Which means if that strategy plays out, and you were Capital One, automated coupon discounts is a game you can’t afford not to be in any longer. The future is coming fast. And if it makes my next trip to Europe cheaper – I’m in.